Ever since Gwen Stefani’s return to the music industry spotlight as a judge on The Voice, I’ve often wondered when we’d finally get to hear more of her music after years of missing her Hollaback Girl days. And it seems that the quirky artist had wondered the same thing herself now that her new single, "Baby Don’t Lie", is making its debut on Monday. Although radio stations will receive the song late Sunday night, according to Interscope, the song will be available to everyone (as in you and I) at the beginning of the week. 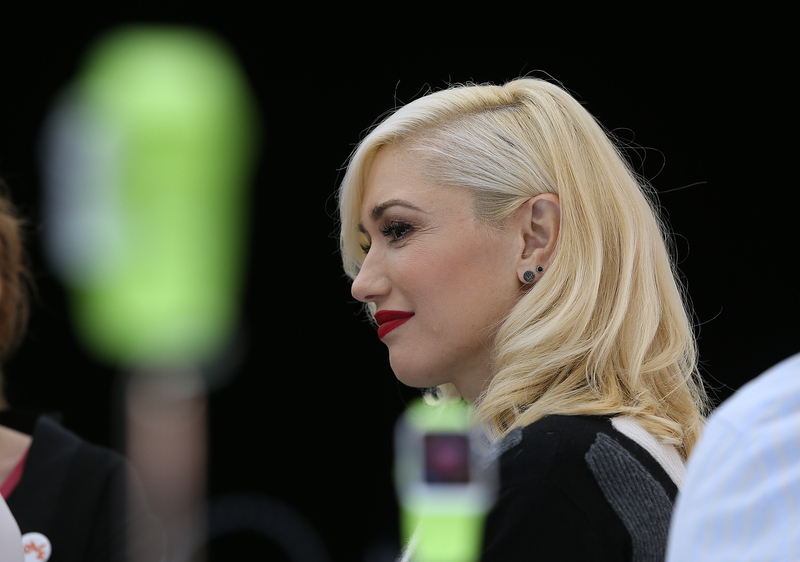 As it turns out, however, someone didn’t feel like waiting that oh-so-long several hours because Gwen Stefani’s single, "Baby Don’t Lie", has been leaked a little bit early. Oops. This sh—t is bananas, y’all. Although I feel bad for the singer because surprises well, aren’t surprises when everyone knows about them beforehand (not to mention the leak is illegal), a small part of me was pretty stoked to hear her new sound this early. So, with a semi-guilty conscious, I decided to take a listen to the song that has been floating around anyway. And to be honest, I was a little bit disappointed. Basically, her new single is nothing like I expected it to be and doesn’t remind me of the Stefani that I grew up loving. Her new song actually sounds like a mix of something you’d hear from Shakira and Rihanna. Obviously that’s not a bad thing since both of those singers are spectacular — they even collaborated on a song recently — but that sound suits them better. Stefani’s work sounds a little too similar to so many other major other songs I’ve heard on the radio and doesn’t really even offer that upbeat, fast pace vibe that I admired from many of her past songs. Even her voice in "Baby Don’t Lie" sounds too perfect and doesn’t have that kind of high pitched and nasal-y feel — the type only she can get away with — which she’s recognized for. Even though Hilary Duff’s single didn’t quite get the attention she was looking for with her comeback this summer, it at least sounded pretty similar to what we all remembered. Of course, all artists experiment with their sound (I mean Taylor Swift, am I right?) and I definitely don’t want to shut down Stefani’s new, creative flow, but I feel like she just has so much more to offer, and I hope her single doesn’t reflect her upcoming album. I love and miss the old Gwen, but maybe the music video to "Baby Don’t Lie" will be so bizarre and eccentric that it’ll all make up for this. Although Interscope has being taking down audio clips of the leaked song, you can listen to the song over at Ultimate Music for now.